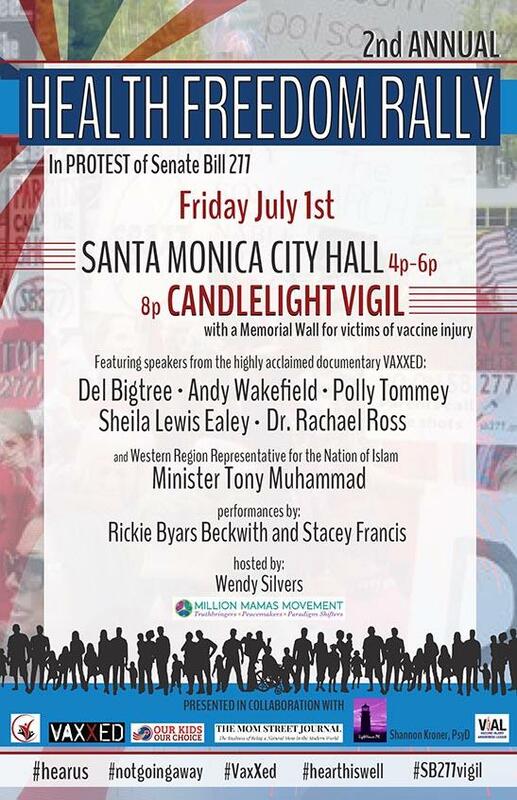 Join us in solidarity to support our constitutional rights to choose safe vaccines. Featuring the team behind “Vaxxed: From Cover-Up To Catastrophe” plus performers and special guests. When SB277 goes into effect on July 1st, it will take away the rights of parents who want to delay, postpone, and selectively vaccinate, along with parents who don’t want to vaccinate for religious or health reasons. California will become one of the few states that denies medical freedom and parental choice. in the rest of the industrialized world.